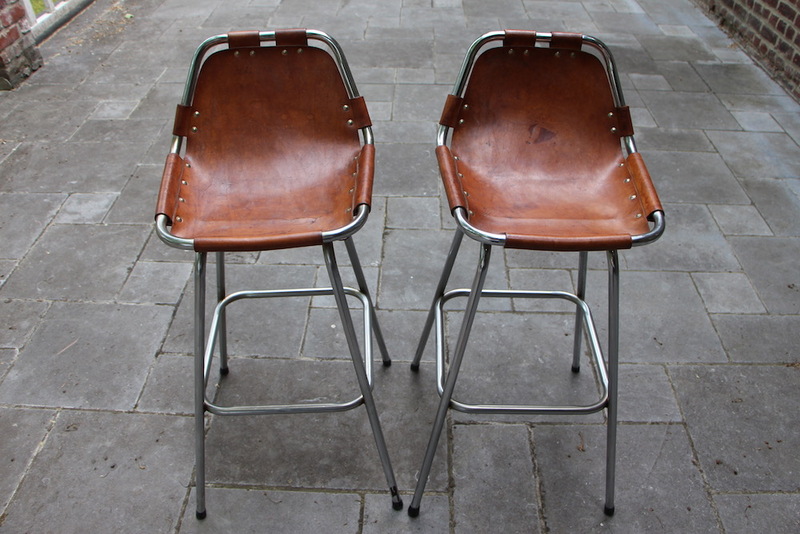 Pair of barstools by Charlotte Perriand for the skiresort "Les Arcs". 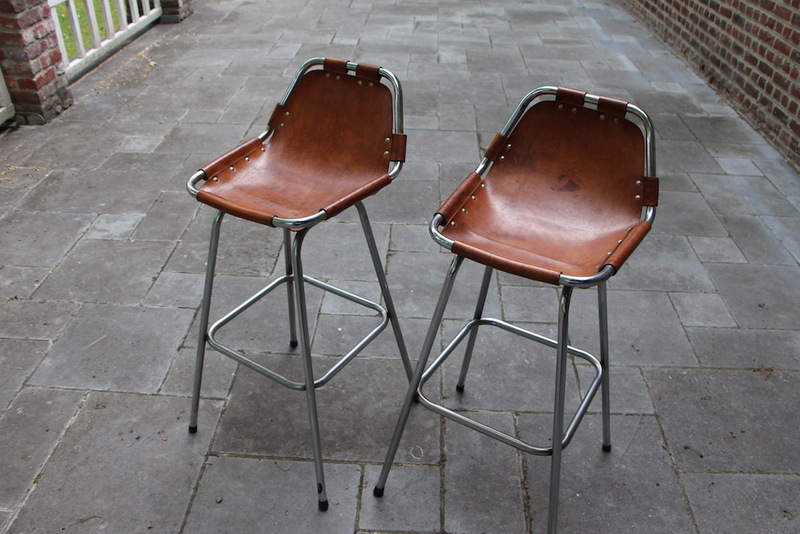 This style of stools is exactly what I like because there is the combination of leather and chrome, which I'm completely in love with. 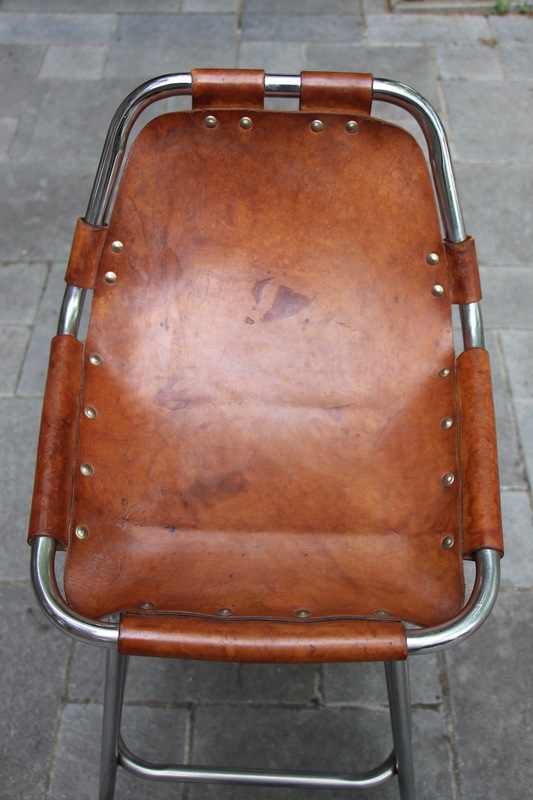 The leather is in used condition which is normal because it's more than 30 years old. The look of these is really really something. 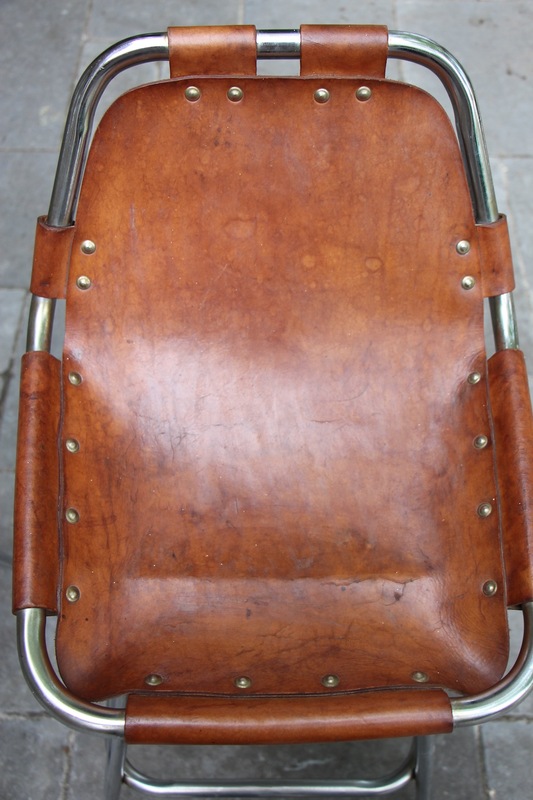 I have seen these very often 10 years ago and they are being very hard to find nowadays. Perfect around a kitchenisland. If your kitchen is very contemporary, very modern, this is the perfect fit!